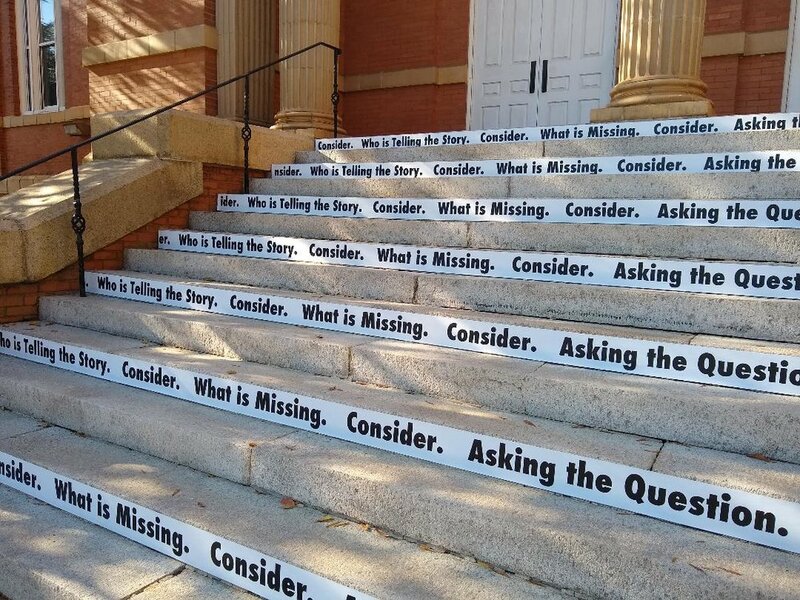 Consider is a site-specific vinyl text piece that invites viewers to think critically about what they see. Strips of black and white vinyl text have been attached to alternating risers allowing for a full reading and interaction. Consider. Who is Telling the Story. Consider. What is Missing. Consider. Asking the Question. Consider. Making a Choice.